ICSI (Intra-cytoplasmic sperm injection) is an additional procedure to conventional IVF. 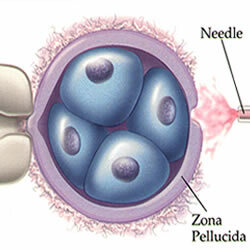 Up until the point of fertilization the two procedures are the same. The difference is the way of fertilization. In conventional IVF procedures the egg is mixed with the sperms in a petri dish and the strongest, healthiest sperm reaches the egg and fertilizes it. With ICSI embryologists select the most active and healthy sperm and inject it directly into the egg. This way sperms that otherwise may not have been able to fertilize the egg can be used. Male factor infertility impacts 30-50% of couples suffering from infertility. Through ICSI procedure, many couples with different male factor infertility problems have achieved pregnancy. Eggs and embryos following fertilization are surrounded by a protective shell, called zona pellucida. This shell plays a key role in the process of fertilization as out of the numerous sperms reaching the egg only one can enter it to complete fertilization. Furthermore, this layer protects the eggs as well as the pre-embryo from the immunological and mechanical effects while it travels in the tube towards the uterine cavity. In order for the egg to be implanted in the endometrium upon reaching the uterus, it needs to ‘hatch’ from this protecting shell. Usually it takes place on day 5, when the embryo is in blastocyst stage. As the embryo grows it bursts open the shell; if for some reason this does not occur then the embryo is unable to get implanted and will perish. Assisted hatching (AHA) is a micromanipulation process whereby a small hole is made on the zone pellucida surrounding the embryo directly before transplantation. This small opening assists with the embryo’s hatching and implantation afterwards. 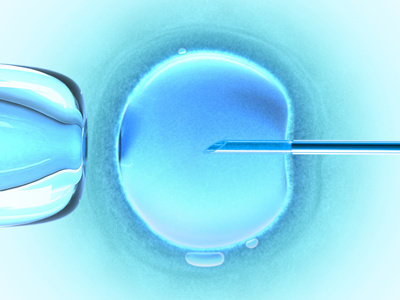 This method can significantly increase the success rate of IVF procedures.